Let's jump on the Colorado State bandwagon! The 2016 Mountain West Conference season was dominated by the Mountain division. Five of six teams in the Mountain division finished with a winning conference record, while only two of the teams in the West division finished with a winning record in the conference. The season ended with San Diego State from the West winning the championship despite the regular season dominance of the Mountain teams. Will San Diego State three-peat as conference champions? Will Boise State re-stake their claim as the top dog in the conference? Will Mike Bobo and the Rams do what many in the media are predicting and win the conference? There are a lot of interesting storylines this year in the MWC. Will Bob Davie continue to swing up, or will New Mexico take a step back in 2017? 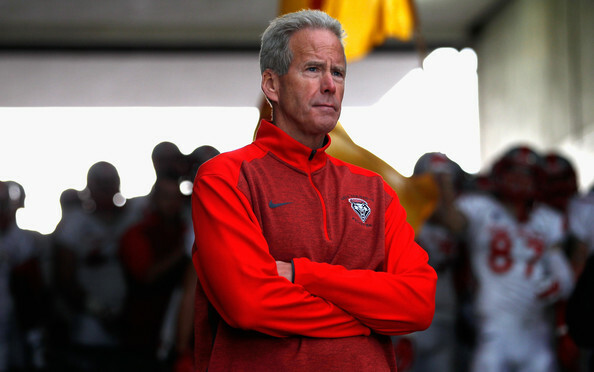 Last season was the perfect storm for Bob Davie and the Lobos. Davie had a very experienced team and it showed in key spots. In 2016, the Lobos won six of their nine games by 10 points or less. This year, they will have a much less experienced squad and it’s going to cost them in those close games. I don’t think the Lobos will take a huge step back, but because they are in the tougher division, they are going to see a reduction in conference wins. I don’t think UNLV will be ready to cut bait with Sanchez after the season, but they will definitely be inching closer to making a move. Moving from coaching high school football to being a head coach in college football is an impossible task. Sanchez hasn’t done a bad job, but this rebuild seems like it might be too much for him to turn around in what has become a very competitive conference. Let’s jump on the Colorado State bandwagon! After two seasons of 7-6 football, Mike Bobo is now in his third year in Fort Collins. Why is everybody so pumped up about the Rams? It’s all about the ceiling and the ceiling is very high for this team. If Bobo can find a way to put it all together and do it each and every week — watch out! I don’t think the Rams are quite ready to win the conference, but I believe they will fare much better than their 7-6 record of the past two seasons. Bohl won three straight FBS Championships at North Dakota State and then got his tail kicked for two years at Wyoming. Year three saw the Cowboys make a great turnaround, winning eight games and going 6-2 in the conference. Now that Bohl has control of this team, you won’t see them head in the wrong direction. 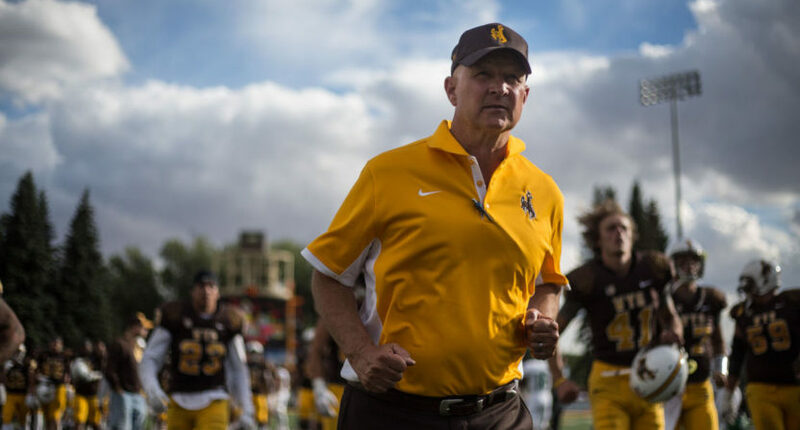 The rest of the Mountain West should be very worried about Bohl and his Cowboys. This is a case of… they simply can’t be as bad as they were last season. The Aggies have some good talent in spots and they weren’t as bad last season as their three wins indicate. The ball is also bound to bounce their way once in a while. In 2016, they gained just 10 turnovers versus 21 the year before. The Aggies will be up in 2017. If this name sounds familiar, it’s because he was a four-star prospect who committed to Alabama in the class of 2014. Injuries and the emergence of star Jalen Hurts helped Cornwell make the decision to seek playing time elsewhere. Cornwell will make his debut at Nevada this season and he should be a good fit for their offense where he will be able to fling the ball all over the field. In this offense, look for Cornwell to rack up big numbers for the Wolf Pack.